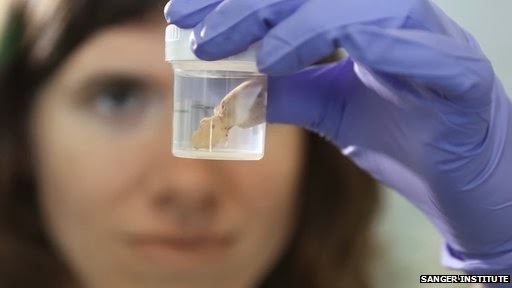 But it was previously unclear what this Neanderthal DNA did and whether there were any implications for human health. A unique collection of Viking-age monuments, which lay unloved in a Govan churchyard for 1,000 years, has attracted the attention of the British Museum. 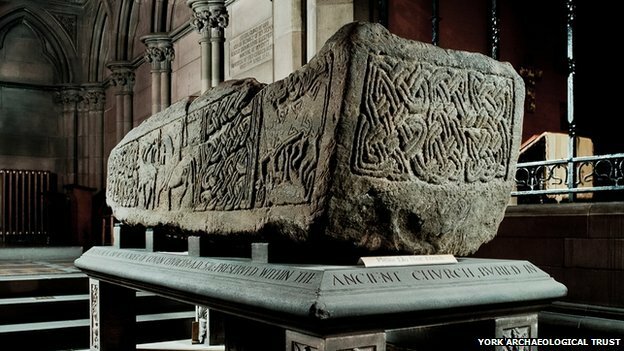 Its curator said the Govan Stones was one of the best collections of early medieval sculpture anywhere in the British isles. Govan is well-known as an industrial powerhouse which, over the past 150 years, has built an incredible number of the world's largest ships. Archaeologists doing their thing at a recent dig near Walbrook. Image by M@. Museum of London has a tempting schedule of upcoming events to better acquaint yourself with Londoners of days gone by. Unless otherwise stated, events take place at the museum’s fascinating Archaeological Archive in Mortimer Wheeler House, Hackney. When did humans really begin to control fire and use it for their daily needs? 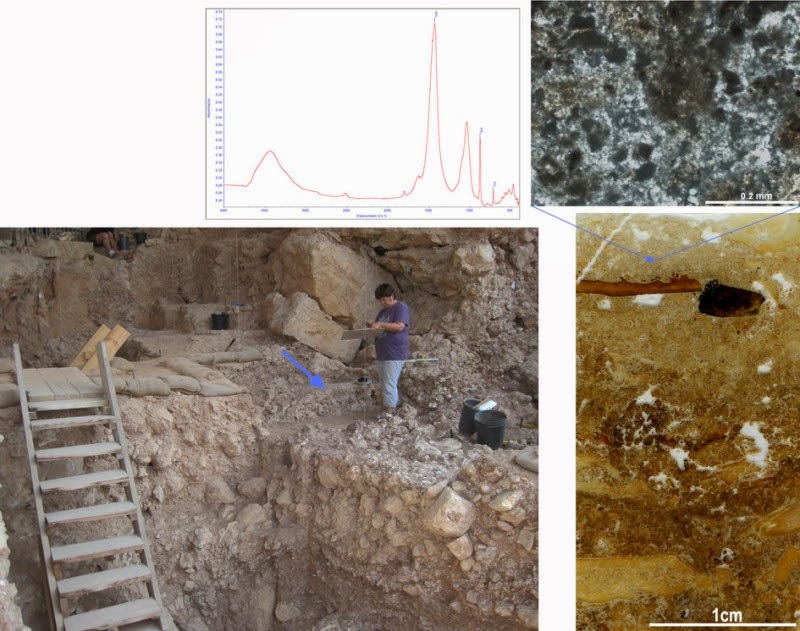 Scientists discovered in the Qesem Cave, an archaeological site near present-day Rosh Ha'ayin, the earliest evidence -- dating to around 300,000 years ago -- of unequivocal repeated fire building over a continuous period. 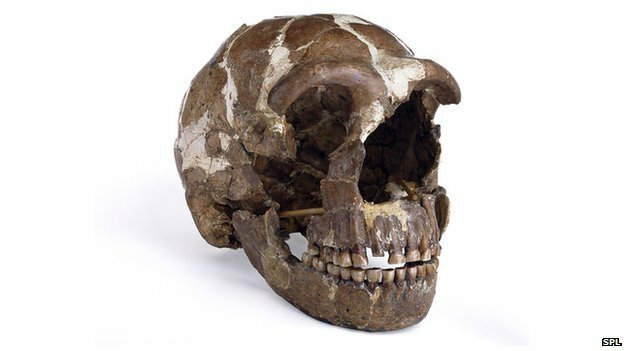 These findings help answer the question and hint that those prehistoric humans already had a highly advanced social structure and intellectual capacity. Humans, by most estimates, discovered fire over a million years ago. But when did they really begin to control fire and use it for their daily needs? That question -- one which is central to the subject of the rise of human culture -- is still hotly debated. A team of Israeli scientists recently discovered in the Qesem Cave, an archaeological site near present-day Rosh Ha'ayin, the earliest evidence -- dating to around 300,000 years ago -- of unequivocal repeated fire building over a continuous period. 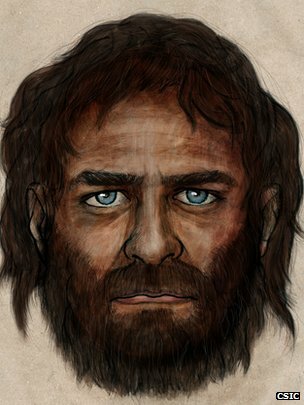 These findings not only help answer the question, they hint that those prehistoric humans already had a highly advanced social structure and intellectual capacity. 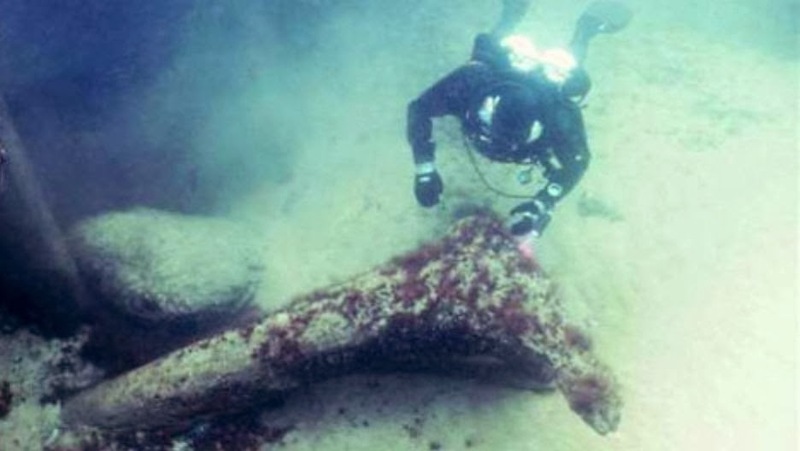 "One-of-a-kind" Stone Age artefacts left by Swedish nomads 11,000 years ago have been discovered by divers in the Baltic Sea, prompting some to claim that Sweden's Atlantis had been found. "What we have here is maybe one of the oldest settlements from the first more permanent sites in Scania and in Sweden full stop," project leader and archaeology professor at Sodertorn University Bjorn Nilsson told The Local. Nilsson's team has been diving in Hano, a sandy bay off the coast of Skane County, and has been given the resources by the Swedish National Heritage Board (Riksantikvarieambetet) needed for a three-year excavation of an area 16 metres below the water's surface. The new study indicates that Old Norse people traded wine with central and southern Europeans long before the Iron Age, when most of the earliest traces of wine in the North started to appear. Carthaginians used war elephants against the Romans in the Battle of Zoma in 202 B.C., as seen in this 1890 painting by Henri-Paul Motte. A new genetic study sheds light on world’s only known battle between Asian and African war elephants in 217 B.C. If you think back to history class, you might remember the tale of Hannibal’s crossing of the Alps in 218 B.C. to sneak up on Rome during the Punic Wars. It was notable not just because he brought an entire army from Carthage to Rome the long way around, but because that army included elephants. The use of war elephants dates back at least to the fourth century B.C., when Indian kings took Asian elephants into battle. The practice soon spread west to the Persian Empire and then northern Africa, where African elephants were put to military use. There’s only one known case, though, of an African elephant-Asian elephant matchup, at the Battle of Raphia near Gaza on June 22, 217 B.C. The battle, over the sovereignty of Syria, matched the forces of Ptolemy IV, pharaoh of Egypt, against those ofAntiochus III, a Greek king whose reign stretched into western Asia. Infanticide was a fact of life in ancient Rome. In the city's foundation story, two abandoned babies, Romulus and Remus, were nursed by a wolf, as depicted in this sculpture from the Basilica of Aquileia. 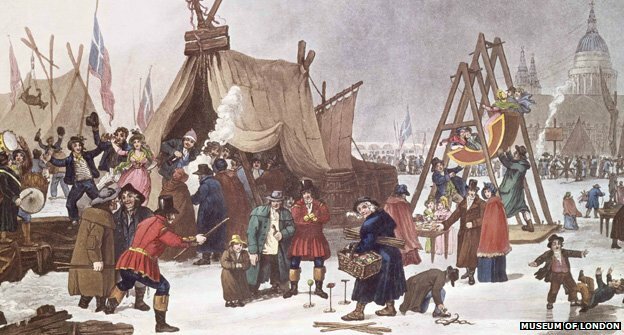 It is 200 years ago since the last "frost fair" - an impromptu festival on a frozen Thames, complete with dancing, skittles and temporary pubs. Could such hedonism be repeated today? Londoners stood on the Thames eating gingerbread and sipping gin. The party on the frozen river had begun on 1 February and would carry on for another four days. The ice was thick enough to support printing presses churning out souvenirs. Oxen were roasted in front of roaring fires, drink was liberally taken and dances were held. An elephant was marched across the river alongside Blackfriars Bridge. Scientists have sequenced the genome of the pathogen that caused one of the most devastating plagues in human history, shedding light on where the disease came from and how it spread. The Plague of Justinian occurred in the sixth century AD and resulted in more than 100 million deaths by some estimates. Named after the Byzantine emperor Justinian I, the outbreak was one of the first recorded plague pandemics. Scientists have previously analysed DNA samples taken from plague victims to determine that the Plague of Justinian was likely caused by Yersinia pestis, the bacterium also responsible for the Black Death. 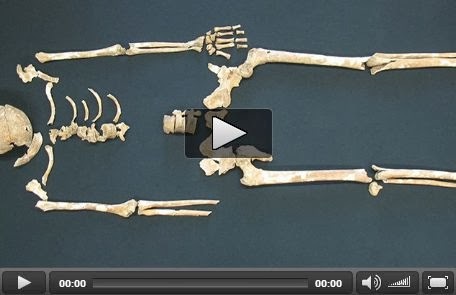 The world's oldest-known living cancer dates back 11,000 years, according to UK scientists. It arose in a single dog and has survived in canines ever since, with the cancer cells passing between animals when they mate. 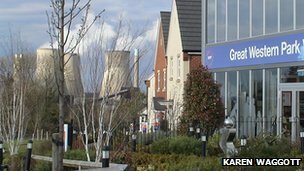 A team led by the Wellcome Trust Sanger Institute near Cambridge decoded the DNA of the cancer. It revealed the "genetic identikit" of an ancient husky-like dog, which first developed the disease. Le 28 janvier 814, Charlemagne décédait dans l'indifférence la plus totale, mais en laissant derrière lui un héritage qui marquera la France à jamais. 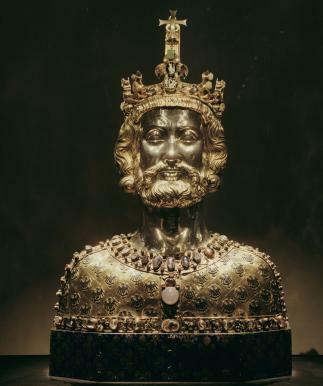 Inventeur de l'école, fondateur de l'Europe, premier grand roi deFrance, nombreux ont été les détournements faits autour du personnage de Charlemagne. Ce souverain franc reste, 1 200 ans après sa mort, la figure du Moyen Âge la plus célèbre. Et pour cause, du haut de son mètre quatre-vingt-dix, Charlemagne a dominé une grande partie de l'Europe pendant les 45 ans de son règne. Ce n'est pas sa voix fluette, son léger embonpoint ou encore son nez allongé qui ont traversé les siècles, mais bien son aura sur les peuples qu'il domine, ses conquêtes militaires ou encore les changements sociaux et culturels qu'il a tenté d'apporter. 1200 Jahre nach dem Tod des Frankenherrschers erinnert die Stadt an ihren Sohn – mit einer roten Couch, Graffiti und einem Kinder-Königreich. AACHEN. Menschen auf der Couch, Kinderparade, Karl als Graffiti-Kunst – mit mehr 100 Veranstaltungen wird in Aachen an Karl den Großen erinnert. Die Stadt stellte am Montag das Jahresprogramm zum 1200. Todestag des Frankenherrschers vor. So sollen Kinder und Jugendliche drei Monate lang mit dem polnischen Künstler Pawel Althamer ihr Königreich gestalten und dabei herausfinden, was sie an ihrer Umgebung ändern möchten. Die Nazis hassten ihn als Sachsenschlächter, im Nachbarland gilt er als Gründer Frankreichs und seiner höheren Zivilisation. Um Karl den Großen, der vor 1200 Jahren starb, wird immer noch gestritten. Am 28. 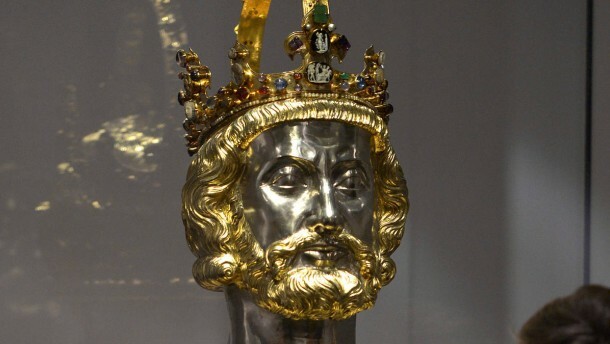 Januar 814 ist Karl der Große gestorben, den die Franzosen Charlemagne nennen. Die dümmste Frage, die man da stellen kann ist: "War er nun Franzose oder Deutscher?" Es sei denn, man wäre noch vor wenigen Jahrzehnten in die französische Grundschule gekommen und hätte eine kleine, noch von Augustin Thierry beeinflusste Histoire de France als Lehrbuch bekommen. Es ist „Karlsjahr“: Überall erinnern Ausstellungen an den Frankenkaiser. Aber haben wir nichts Besseres zu tun? Was verbindet uns mit einem Mann, der vor zwölfhundert Jahren starb? JJetzt feiern sie wieder. Ein „Karlsjahr“ ist ausgerufen, nach dem Schillerjahr, dem Kleistjahr, dem Friedrich-der-Große-Jahr, und der Kulturbetrieb eilt zu den Fahnen. Die Beiräte haben getagt, die Kuratoren gesammelt, die Minister ihre Einladungen erhalten, und jetzt regnet es Karls-Ausstellungen: in Aachen, der alten Kaiserstadt, in der auch der unvermeidliche Karlspreis verliehen wird - in diesem Jahr bekommt ihn Ex-EU-Ratspräsident Van Rompuy -, geht es vom Rathaus („Orte der Macht“) über das neue „Centre Charlemagne“ („Karls Kunst“) bis zur Domschatzkammer („Verlorene Schätze“); dazu gibt es noch mal drei Museums-Events im rheinischen Pfalzstädtchen Ingelheim, unter den Stichworten „Prachtort“, „Pfalzansichten“ und „Personenkult“ und natürlich mit „Originalfunden aus der Karolingerzeit“. An archaeological dig aims to uncover new information about Ilkley’s ancient Roman fort and the lives of the soldiers who once lived there. Archaeologists are digging trial trenches on Castle Hill - close to the Manor House Museum and All Saints Parish Church. The site was opened up for members of the public to visit today and find out more about the explorations unde way. The investigation has been instructed by property developer, BurleyDevelopments, in consultation with English Heritage and West Yorkshire Archaeological Advisory Service. 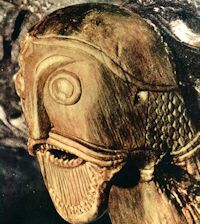 In March 2014 the British Museum will open the Sainsbury Exhibitions Gallery with a major exhibition on the Vikings, supported by BP. 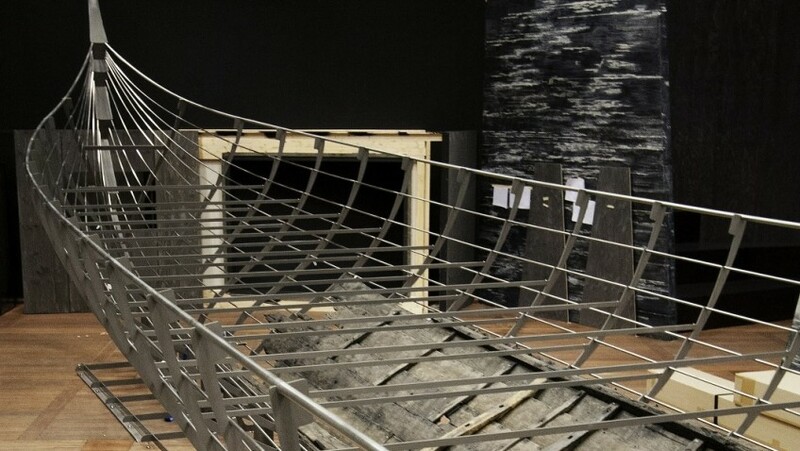 The exhibition has been developed with the National Museum of Denmark and the Staatliche Museen zu Berlin (National Museums in Berlin) and focuses on the core period of the Viking Age from the late 8th century to the early 11th century. The extraordinary Viking expansion from the Scandinavian homelands during this era created a cultural network with contacts from the Caspian Sea to the North Atlantic, and from the Arctic Circle to the Mediterranean. The Vikings will be viewed in a global context that will highlight the multi-faceted influences arising from extensive cultural contacts. The exhibition will capitalise on new research and thousands of recent discoveries by both archaeologists and metal-detectorists, to set the developments of the Viking Age in context. Bobigny - France, prized by tourists for its historical treasures, loses at least half a million buried archaeological items to pillagers each year, a group fighting the practice said on Wednesday. Jean-David Desforges, head of the French association Stop the Pillage of Archaeological and Historical Heritage, told a conference that many objects from ancient Gaul, and Nazi artefacts from World War II were illegally dug up and sold by thousands of prospectors using metal detectors. "In the past few years, the illegal sale of objects has exploded on the internet," he said, despite legislation that stipulates that buried heritage is protected. YORK Minster is to protect the Great East Window – one of its medieval masterpieces – with a newly developed UV shield. The UV resistant glass will be used as part of the external protective glazing for the 15th Century window, which has been removed and is being painstakingly conserved by York Glaziers Trust. It will become the first building in the UK to use the German made Restauro UV glass, which makes the the UV resistance an integral part of the glass itself. The work to conserve and restore the Great East Window is part of the York Minster Revealed project which is due for completion in 2016. Campaigners trying to save archaeology have urged housing estate developers to change the route of a road to save a Bronze Age burial monument. A dig ahead of the development of the Great Western Park estate in Didcot, Oxfordshire, discovered humans had lived on the site for 9,000 years. The Didcot Dogmile group said Taylor Wimpey's planned road would cut across the rare pond barrow. Greek archaeologists have rejected suggestions that private companies should be allowed to run ancient sites, insisting that this task should be retained by the state. 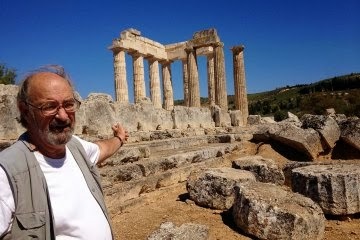 The Association of Greek Archaeologists issued a statement on Monday following the publication of a Time magazine article in which American archaeologist Stephen Miller, who has spent more than three decades in Greece helping unearth antiquities at Ancient Nemea, suggested allowing private companies take over the development, promotion and security of under-used sites. Today the magnificent 3,000 year old Shropshire hillfort of Old Oswestry is in the news while campaigners fight to halt several proposed housing developments that threatens both the setting and archaeology surrounding the monument. But, as if to highlight the importance of this place, a new discovery from 2008 has been dubbed the Oswestry Pegasus Stone. The engraved stone currently stands in the Oswestry Town Museum and Professor George Nash was invited by Rodney Farmer to review the previous interpretation. The stone was recovered during an archaeological watching brief in February 2008 from undergrowth near the main entrance to Old Oswestry Hillfort, close to the western outer ramparts. During evaluation of land prior to the construction of a new hospital in Aalborg, Northern Denmark, archaeologists uncovered an Iron Age village dating back around 2000 years. The settlement differs from other sites of this period because of its well preserved condition, including a number of houses complete with fireplaces, chalk floors and cobbled paving. The village covers an area of ​​approximately 4 ha., and excavation has so far located about 40 houses. However, this number is expected to increase greatly during full excavation, but initial reports show they are not all contemporary, and represent repeated reconstruction and rebuild over hundreds of years. Usually, only traces of the postholes are left to understand the layout of a house, but the village had been covered over with a thick layer of soil, that had protected it after abandonment. Several of the houses had floors created out of chalk for the living area, while other parts of the buildings appeared to be used as stabling for animals. Preliminary studies show bones found were mainly from the butchering of cattle, pigs, sheep and goats, but the inhabitants supplemented their diet with fish from the nearby fjord. Heavy flooding south of Naples have caused landslips that exposed Roman walls at Baiae, an ancient Roman fleshpot resort near Pompeii attracting the empire's great and good, archaeologists said Wednesday. Baiae - modern Baia, near Sophia Loren's birthplace Pozzuoli - was a fashionable getaway for several hundred years, especially towards the end of the Roman Republic. 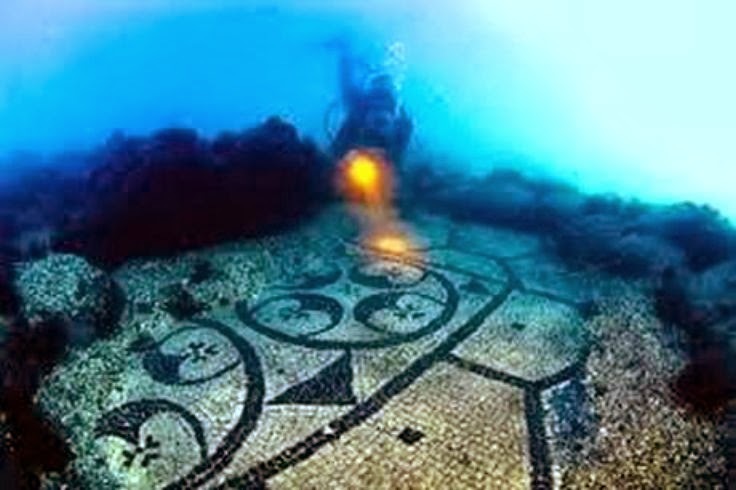 Even more popular than Pompeii, Herculaneum, and Capri with the super-rich, it was notorious for the hedonistic temptations on offer, and for rumours of scandal and corruption. 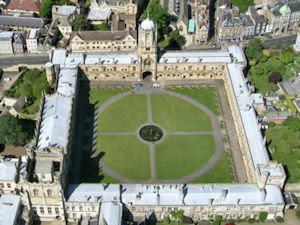 Hillary Term begins tomorrow at Oxford, but there is still time to enrol for one of the online courses in archaeology. Archaeologists have identified the earliest use of steel in the British Isles from a site in East Lothian. They now believe artifacts recovered from the site of the Broxmouth Iron Age hill fort were made from high-carbon steel. This would have been deliberately heated and quenched in water, indicating "sophisticated blacksmithing skills". The steel objects were manufactured in the years 490-375BC. Archaeologist Michael Gibbons investigates the area on Omey Island where 6,000-year-old dwellings were revealed by storm damage. The recent storms that battered Ireland's countryside and coastlines unearthed a hidden gem amidst the devastation to properties and landscape. The storms have exposed evidence of life dating back to the Neolithic period on Connemara’s Omey island. Large linear archaeological deposits of up to a meter thick have been exposed on the western and northern shorelines of the tidal island off Claddaghduff. 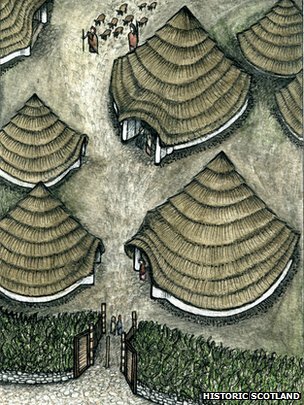 The Irish Times reports two sets of medieval burial sites, traces of sunken dwellings and parts of a Neolithic bog which had been covered over for millennia by shifting sands, have been revealed. Clifden-based archaeologist Michael Gibbons has classified the weather impact on Omey as “spectacular,” but says that many important archaeological features, such as midden deposits, have been destroyed along the Atlantic rim in the “severe beating of Connacht’s coastal dunes” since mid-December. Such is the conclusion based on new archaeochemical evidence derived from samples inside pottery and bronze drinking vessels and strainers from four sites in Demark and Sweden, combined with previous archaeobotanical data. The research ("A biomolecular archaeological approach to 'Nordic grog'") was recently published online in the Danish Journal of Archaeology (Dec. 23, 2013). Researchers said Friday they may have discovered remains of King Alfred the Great, the 9th-century royal remembered for protecting England from the Vikings and educating a largely illiterate nation. 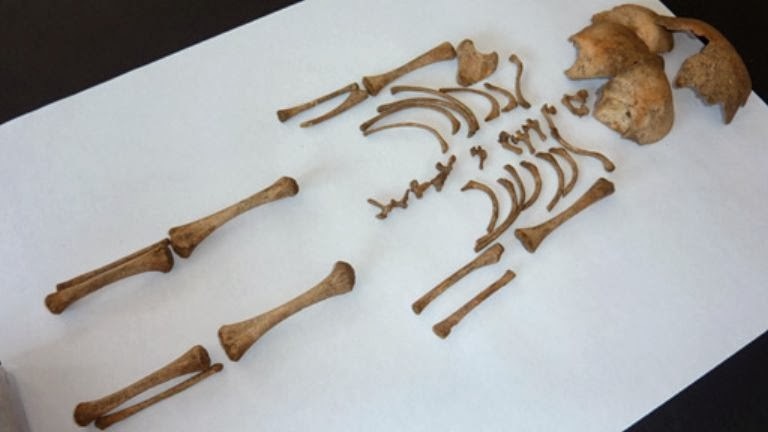 The University of Winchester said in a statement that a pelvis found in a box of bones in the city's museum is likely to be either from the legendary leader or his son, King Edward the Elder. 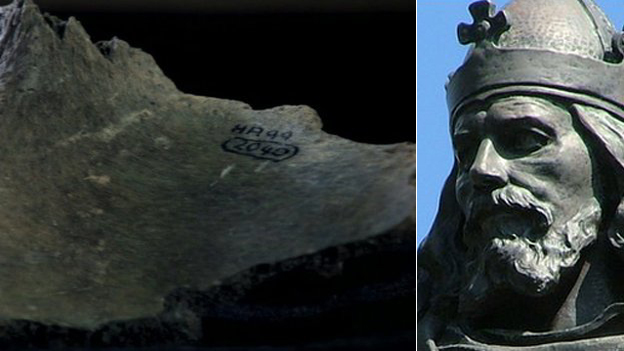 A fragment of pelvis bone unearthed in Winchester in 1999 may belong to King Alfred the Great or his son Edward the Elder, academics have said. It was found at a previous dig at Hyde Abbey and has been dated to 895-1017 - the era the king died. Experts were originally testing remains exhumed last year from an unmarked grave at St Bartholomew's Church, where it was thought he was buried. But they were found to be from the 1300s, not 899, when the king died. 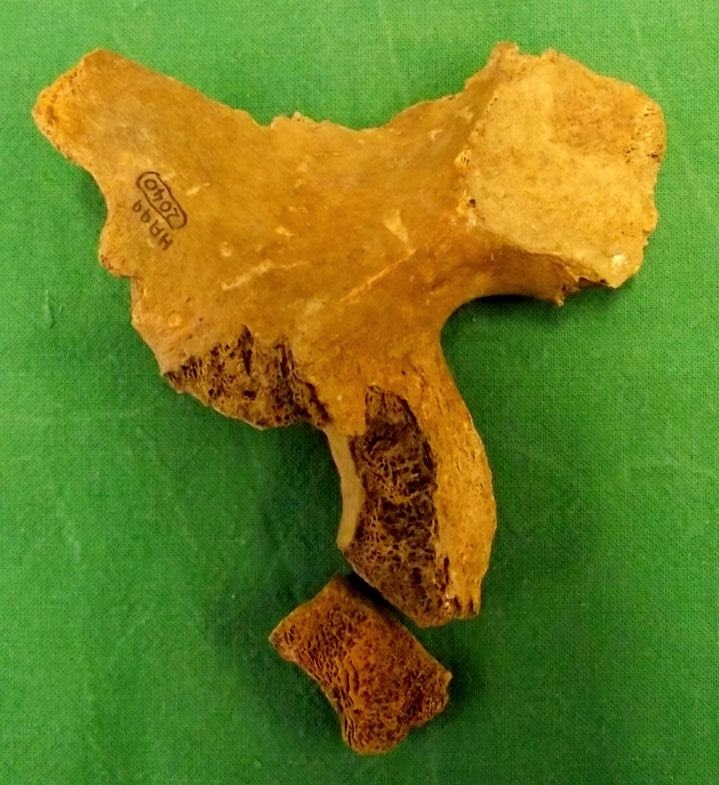 The fragment of pelvis had been among remains stored in two boxes at Winchester's City Museum and was tested by academics at Winchester University after their study into the exhumed remains proved fruitless. The remains of four Anglo-Saxon adults have been found in shallow graves during excavation work at a river in Northamptonshire. The graves, 12in (30cm) below ground level, were found during the work to create a new backwater at the River Ise at Rushton near Kettering. A 6th Century bowl was also found in the graves. Archaeologists said they were "excited" by the graves, which have since been covered again with soil. 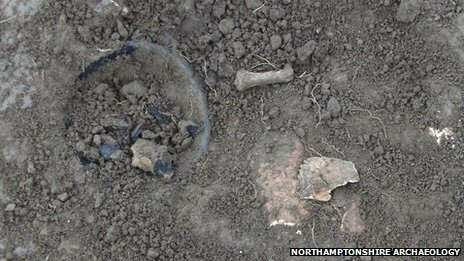 Jim Brown, senior project officer at Northamptonshire Archaeology, said the discovery of burial goods with the body remains indicated the people were "certainly pagan". Italy is demanding the immediate return of a cache of antiquities stored in London and warning that if it does not receive information about the status of the collection within 30 days, it may sue the firm responsible for the objects. 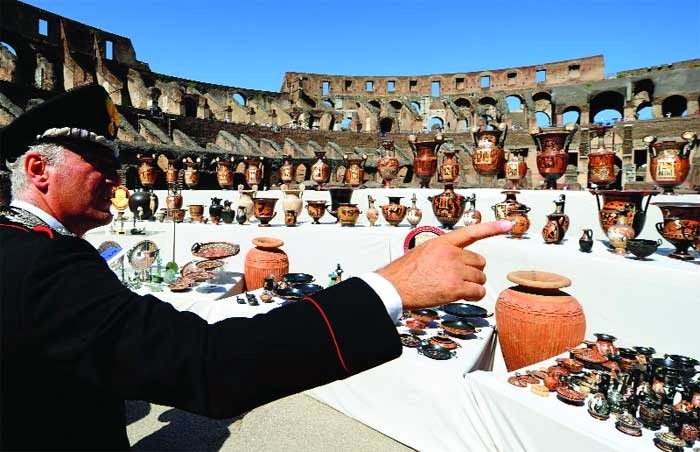 Italy’s state legal counsel was planning to send, this month, a final warning to the liquidator responsible for the assets of the disgraced antiquities dealer Robin Symes, who was declared bankrupt in 2003. Italy’s letter includes a detailed list of around 700 ancient objects, including sculptures and jewellery, that Italy is claiming because it believes they were taken from its territory illegally. In der Ausstellung werden die Besucher sehen, wie im Laufe der Zeit immer größere Gebiete besiedelt wurden und die Menschen ihre Umwelt stärker strukturierten. Scores of people have been evacuated from a heritage village in southern Norway as a raging fire threatens its unique wooden buildings. At least 90 people received hospital treatment but no deaths were reported. Flames have burnt at least 30 buildings, fanned by strong winds, Norwegian broadcaster NRK reports. Recently, a former student of the late Dr. James E. Corbin (Dr. John Hart, now Director of the Research and Collections Division at the New York State Museum) put me in touch with Dr. Bernard K. Means, the Director of the Virtual Curation Laboratory at Virginia Commonwealth University. In what I’m hoping will grow into a long-term collaborative research effort, we have begun to share ideas, methods, and yes – data. Some of you will no doubt recognize the image below as FIN-S7 from the Vanderpool collection. Means used a series of screenshots of the vessel to create this 3D representation.